Yesterday, the self-described “lifestyle brandâ€ SoulCycle filed documents with the SEC which would indicate that the company is going public. Started in 2006 by two New York locals, Elizabeth Cutler and Julie Rice, the indoor cycling and spinning company has experienced tremendous growth and has become something of a cultural phenomenon. “We believe SoulCycle is more than a business, it’s a movement,” the company said in it’s filing. The company’s growth has been tremendous – beginning with one studio in New York City, the company grew to 12 studios in 2012, and now boasts 38 studios nationwide. According to the documents filed – the San Francisco, Los Angeles, and New York City area markets accounted for 97% of the company’s 2014 revenue, and also account for 34 of the 38 studio locations. Claiming $112 million in revenue last year, Forbes estimates that SoulCycle could generate up to $100 million in its public offering. Goldman Sachs, Citigroup, and Bank of America Merrill Lynch are the co-leads on the deal, along with William Blair, Cowen, and RBC Capital Markets. 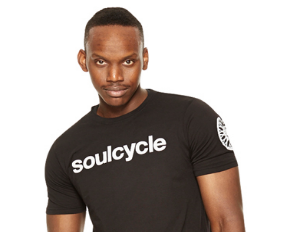 The SoulCycle following has been described (and parodied) as ‘cult’ like by many, and has also drawn criticisms over its pricing structure; a single class is $34, and additional costs like water and shoe rental add to the tab. The company also offers merchandise, bordering on a full retail line, which both contribute to the experience, as well as ‘cult’ reputation. Still, SoulCycle seems poised for success, as it stands atop the mountain of similar competitors that include Flywheel and CycleBar. Forbes also notes that in the documents filed today, SoulCycle said it believes it’s “well-positionedâ€ to open at least 10 to 15 new studios per year for the next several years, and also said there’s an opportunity to bring SoulCycle classes right into your living room through a digital platform. Amidst the news of the filing, the company also announced that it has promoted its COO Melanie Whelan to the role of CEO.